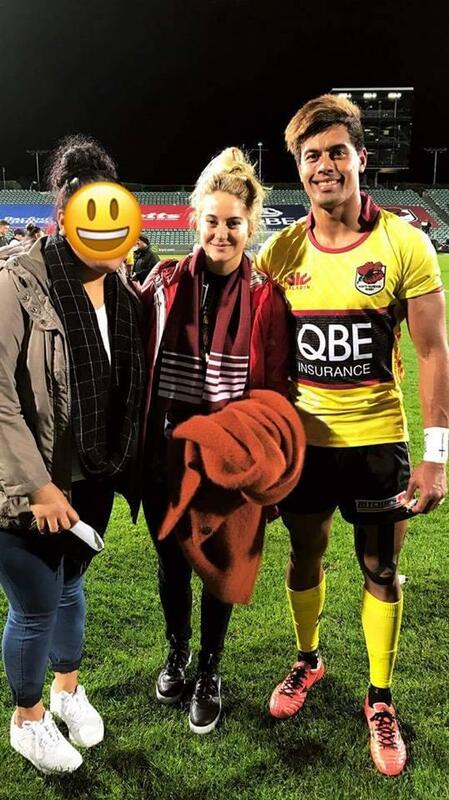 Hollywood star Shailene Woodley has revealed she is dating North Harbour rugby player Ben Volavola. According to 'Women's Day', the 25-year-old 'Divergent' actress was spotted on the sidelines in Hamilton watching Volavola play against Waikato. A fan also got snap with the smitten couple after a game he played against Hawkes Bay at QBE stadium on September 29. The actress, who came to fame in the movie 'Fault in our Stars', was sporting a North Harbour scarf and jacket in the photo. The famous actress reportedly looked absolutely smitten as she cheered the team on to victory. An onlooker who watched the game in Hamilton told 'Women's Day' "Shailene was sitting in the stands with two girlfriends while Ben played and went wild when they won. She was obviously really proud of him. Apparently she's been to lots of games this season." Woodley has been in New Zealand filming studio scenes for a new movie called Adrift in west Auckland. She's been posting photos on Instagram of her travels around the country, most with a man, assumedly Volavola, by her side. Although she didn't name him, she posted a photo of her hand entwined with Volavola's last week sending fans into a frenzy as they tried to work out who was in the snap.